The beautiful Miriam organised a colour swap recently. 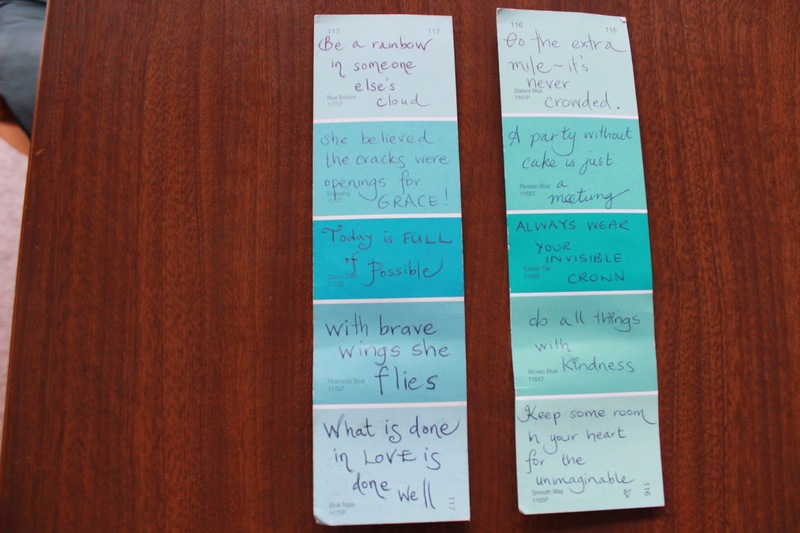 Participants had to do a colour scheme for their chosen partner, and include something to inspire them. Unfortunately my original partner had to pull out of the swap, so Miriam was kind enough to organise a bunch of goodies for me, as well as taking on her original partner too. I was so excited to see this in my mailbox this afternoon. Look at all the goodies to unwrap! I loved the little paint swatches with inspiring quotes- "a party without cake is just a meeting" is my favourite! Miriam even made me this beautiful bookmark- she is so clever! 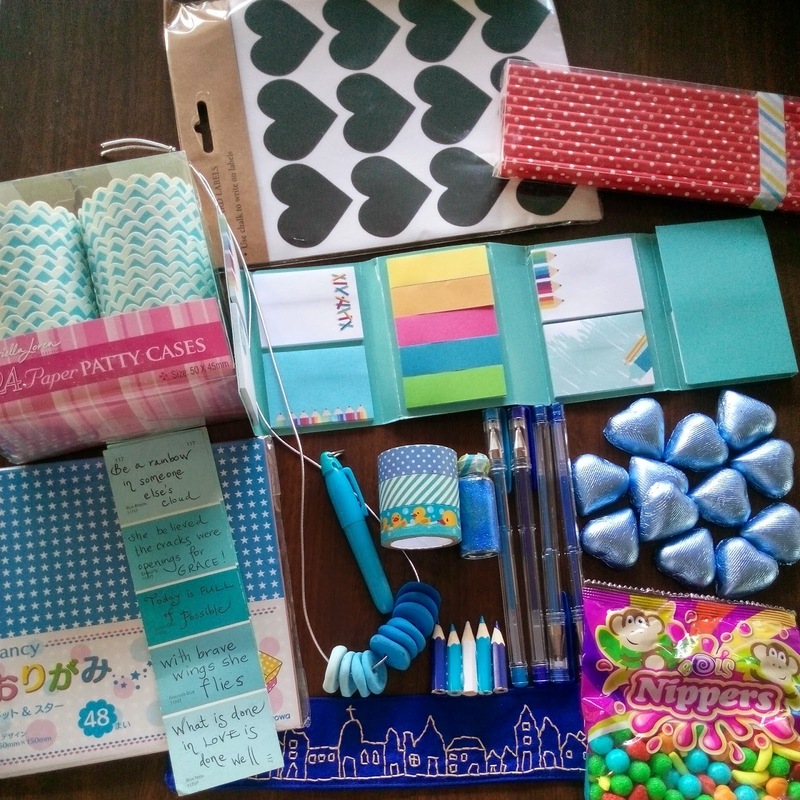 It was so fun unwrapping each item, and at the end I had a bounty of blue gifts. I am IN LOVE with the duck washi tape- I collect poultry items so I am not sure if Miriam remembered this or it was just a fluke, but either way I am stoked. 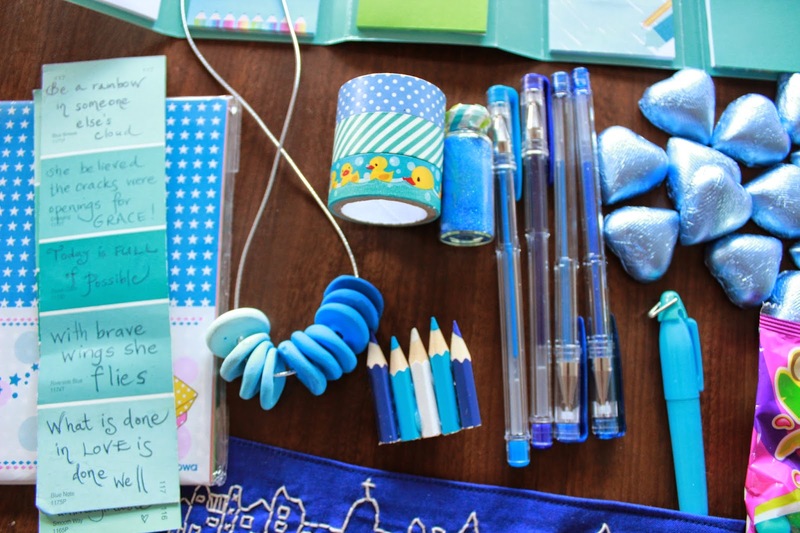 She even made an adorable blue pencil brooch and a funky necklace! Of course, I had to try on the necklace straight away. It is awesome. Miriam captured me perfectly- stationery is always so much fun and I am always searching for pens and notepaper to write my ideas down, so this was such a wonderful parcel to receive. Blue is one of my favourite colours to wear, and it is also a colour I rely on to chill me out, so Miriam did a wonderful job with that. This turned up on a day when I was struggling with pain, feeling a bit sick and wondering how to fill in the afternoon. It definitely brightened up my day. Thank you so much Miriam! 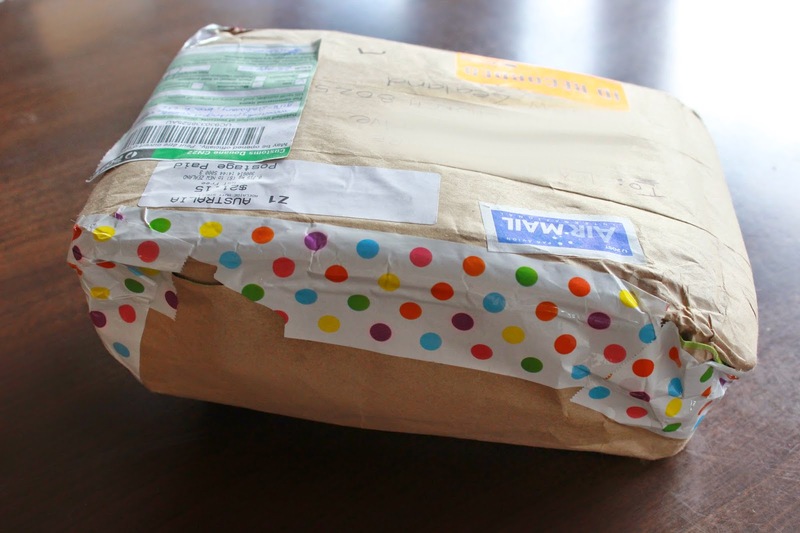 I will share what I sent my swap partner when I know she has received it- I can't wait for her to get it and I hope she loves it as much as I loved my Little Bit of Wonderful parcel. 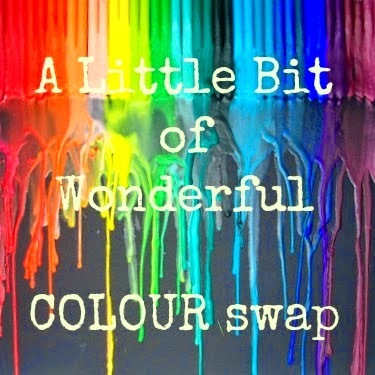 How neat to use color for a theme for a swap. I love that duck washi tape, too! 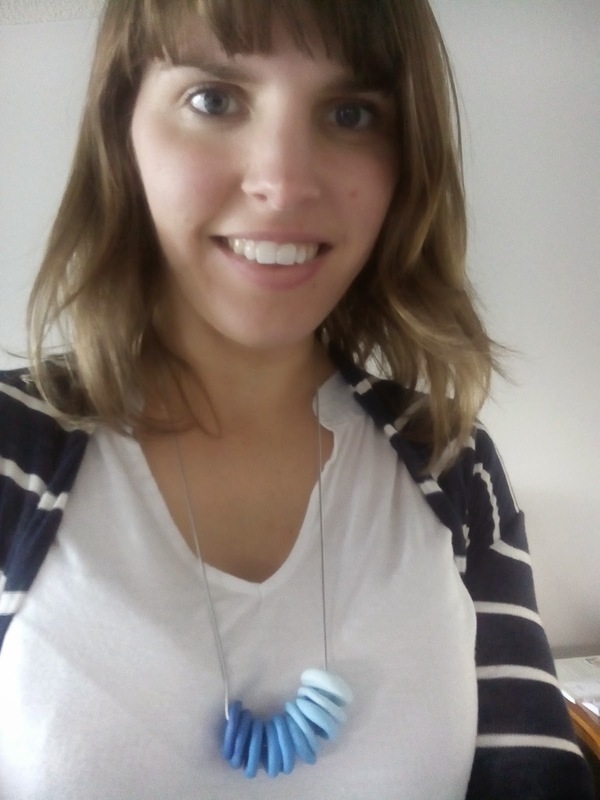 The necklace is fun, too! Stationary is always fun, especially when you get something new! 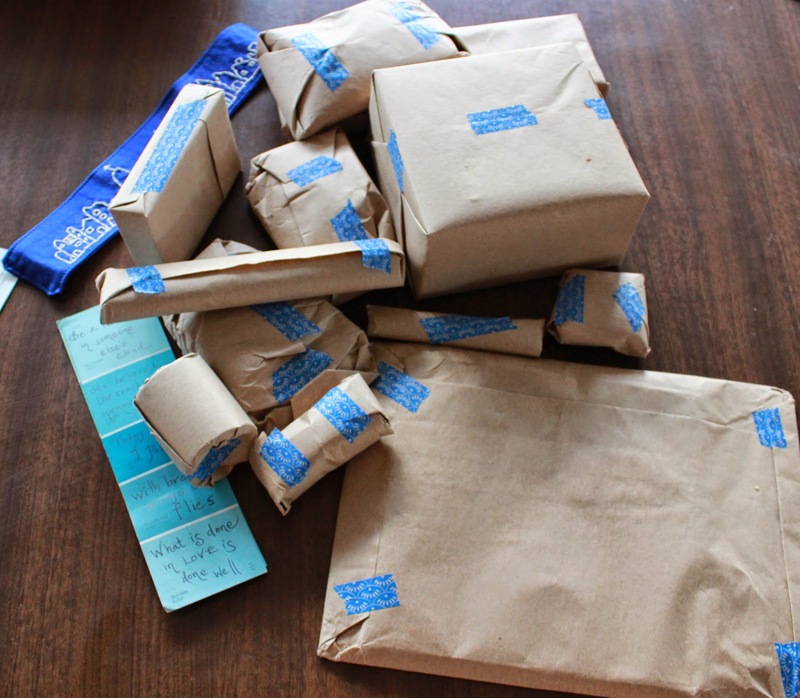 Fun package!